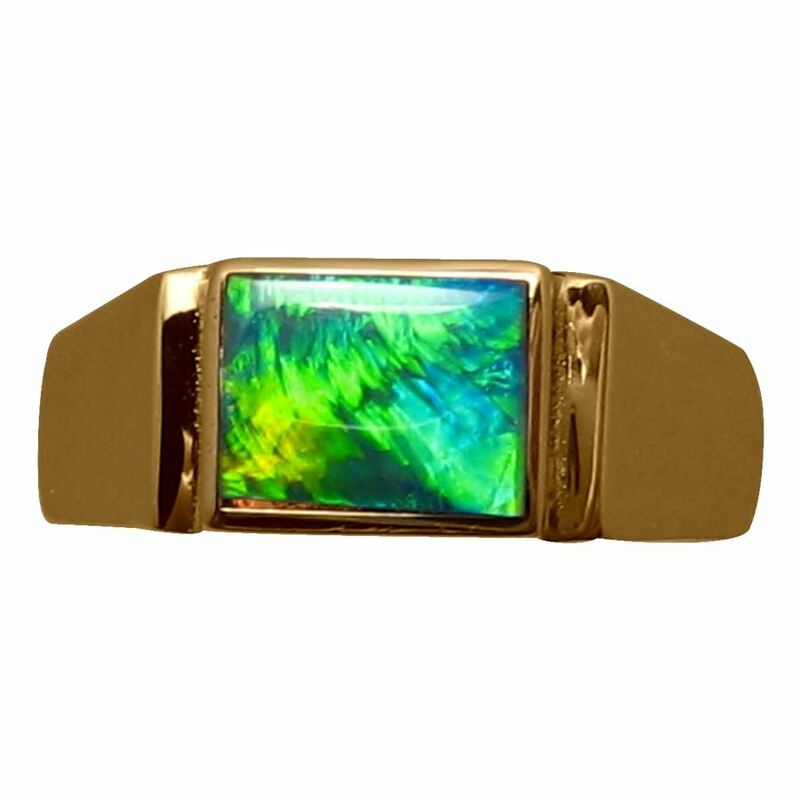 Mens Opal ring in 14k Gold with one rectangle opal showing electric colors. 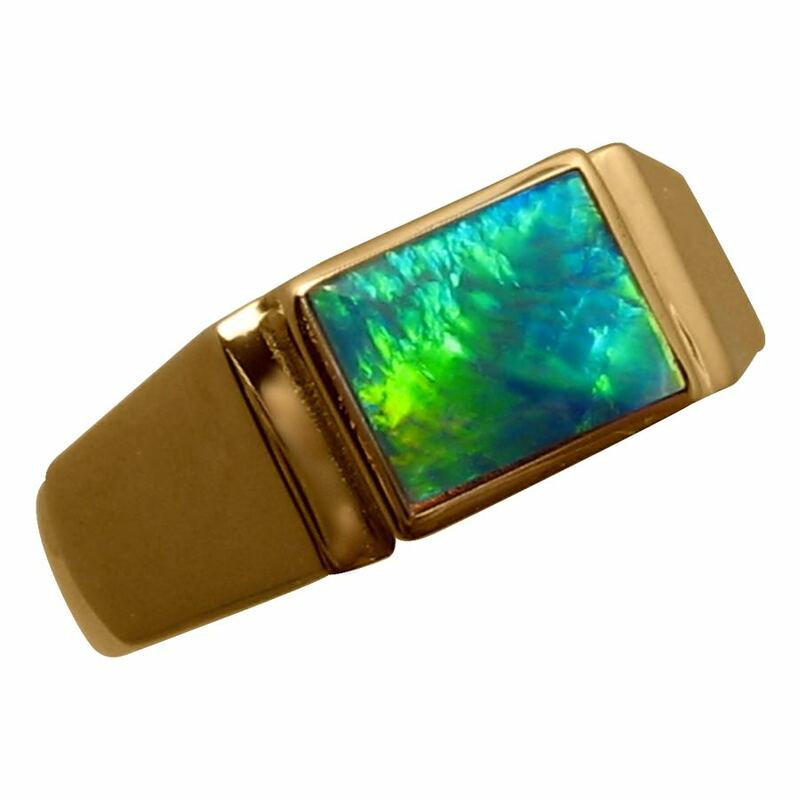 This Opal ring for men has a rectangle cut Green and Blue Opal from Lightning Ridge. 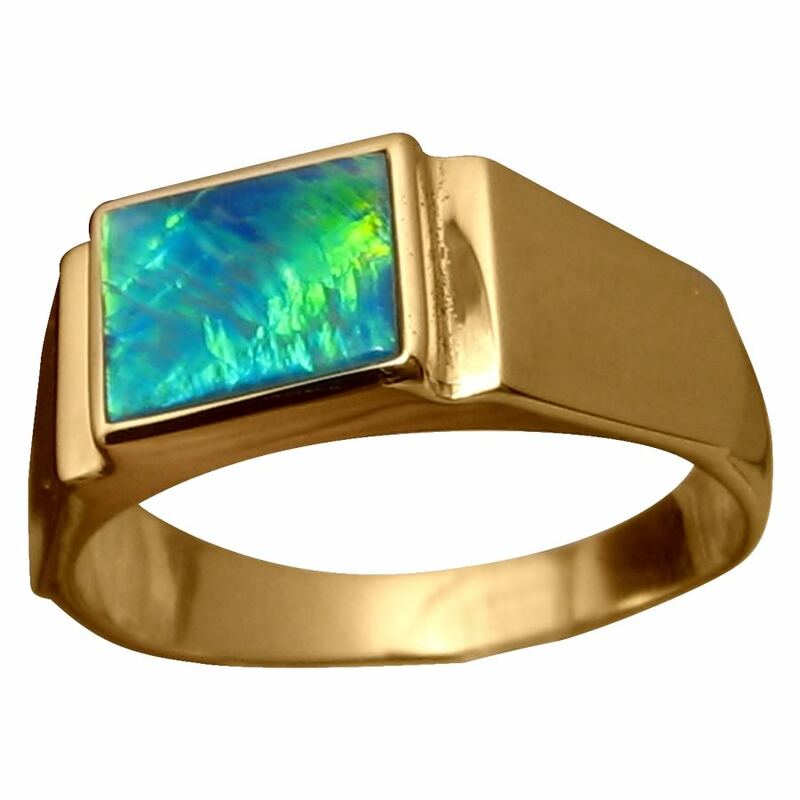 It is a Black Crystal Opal that weighs just over 1 carat and is shown in a 14k Yellow Gold ring with a smooth band that weighs 5.7 grams. 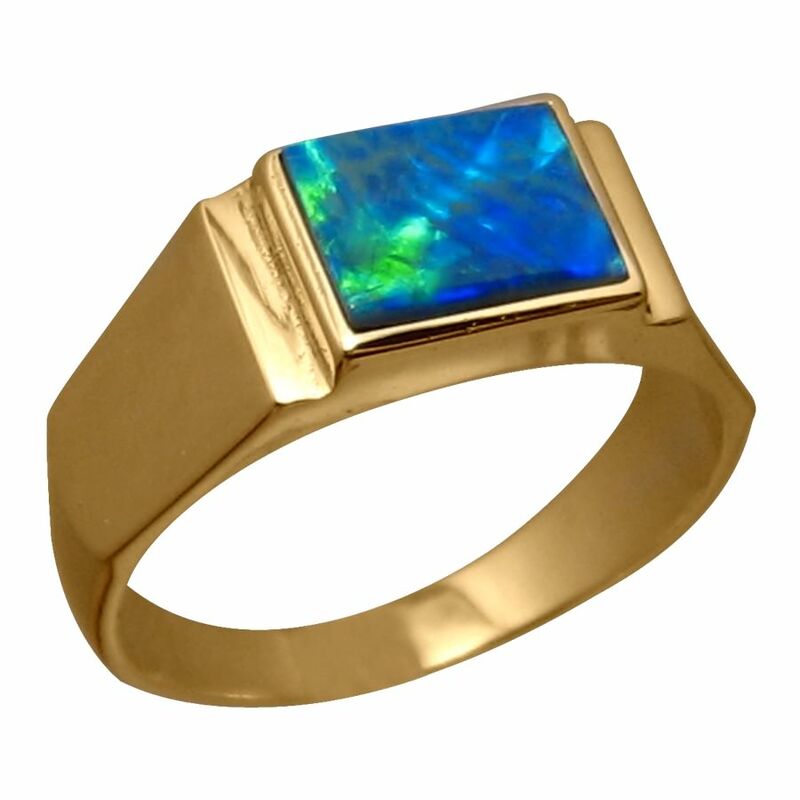 The band is finished with a high polish and once the Opal is secured, the face of the ring will be finished. 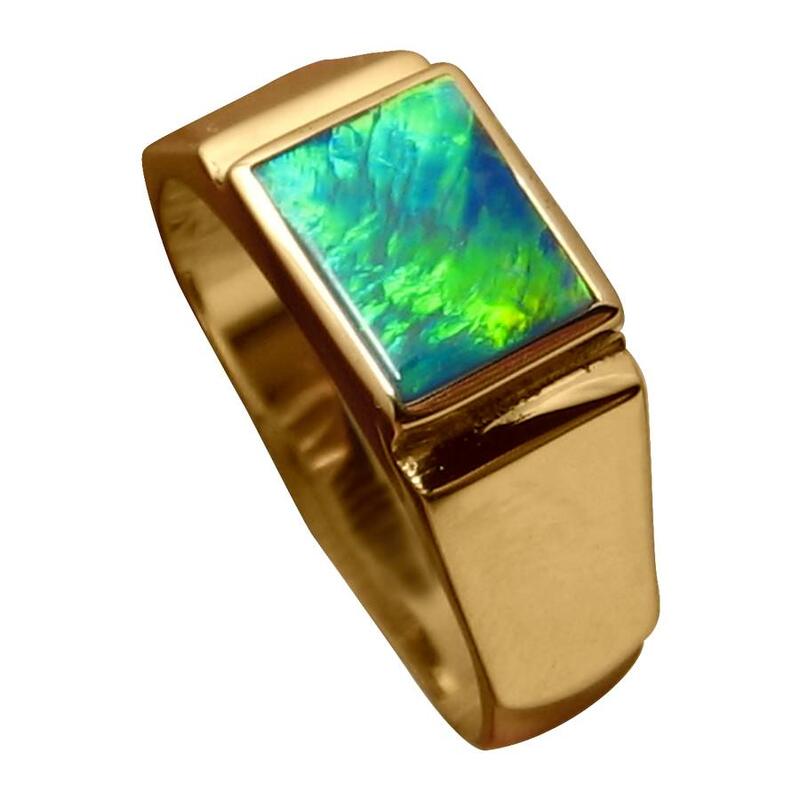 It is ready to ship as outlined below or will take about 7 days to make in any other ring size or Gold color before shipping.